Advancements in technology and social media have provided an open forum for attacks of all kinds, and veterinarians are no exception. 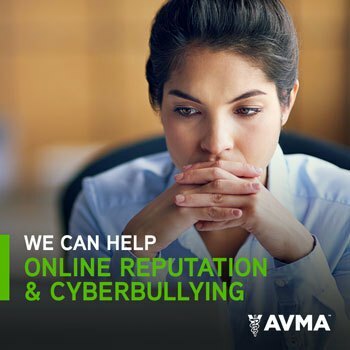 Even if your practice does not have a website, Facebook page, Twitter account or other virtual media outlet, you are still at risk of cyberbullying. Careful management of your personal accounts is no longer enough to keep you safe. Thankfully, the AVMA has developed DVM resources to assist vets when a disgruntled third party elects to utilize the internet to ruin your reputation.